Evening Primrose Oil with Gamma-linolenic Acid GLA and Vitamin E. It provides 1000mg of Evening Primrose oil per softgel. Germinated soy extract with a 40% of Isoflavones. 150mg of Soy Isoflavones per capsule. Vitamin D supplement in the form of cholecalciferol. Extract of Fenugreeek seeds (Alhova). Benefits for menopause, cholesterol, diabetes, sexuality, etc. Reinforces the immune system. Increases energy and libido. I’ve been using this product along with ginger because I tend to suffer bad digestions. I have to say that I have experienced a remarkable improvement, less burning and swelling specifically. It does not taste like fish, which tends to happen with this type of product. I mainly use it to have my cholesterol under control. 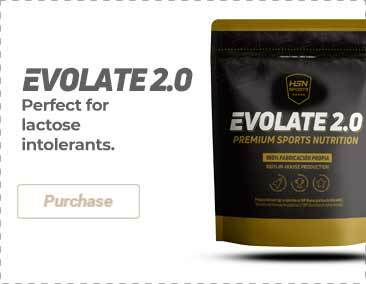 Excellent format, price, formula… unlike any other brand, this is an excellent product! It is a basic product for supplementation, specially if you do not eat enough fish in your diet. The results are remarkable, I feel more energised physically and mentally. During menopause the body experiments a large number of hormonal changes that produce many discomforts. Who should take dietary supplements for menopause? 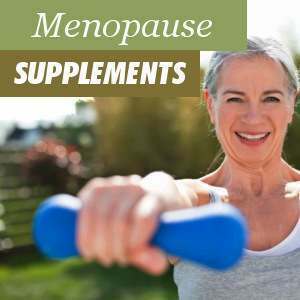 Why should dietary supplements be taken during menopause? To fight the symptoms of menopause we can resort to natural remedies, like the hop plant, lignans and black cohosh, that will help us mitigate the typical discomforts produced in this life phase that all women must endure. Menopause is a normal hormonal change that occurs in women’s bodies with the course of time. 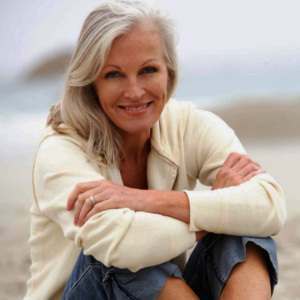 When menopause starts the levels of estrogens decrease. Estrogens regulate important internal processes, therefore it is necessary to go through this transition till our body and mind adapts to this new situation. The hormonal changes that take place during menopause have different symptoms, such as hot flushes, sleep disorders, irritability and abrupt mood swings. These are due to the fact that the body during this menopausal phase produces less estrogens. To understand how menopause works, firstly we have to know that oestrogen is the female sexual hormone and that, from the age of 40 or 45, it will start to decrease gradually. During this period, menstruation will diminish up to the point that it stops altogether. When the menstruation stops, the menopause starts. Generally, menopause happens around the age of 50, although, in some occasions, it may occur a few years sooner or later. Once a women has entered menopause she no longer can become pregnant. Although this may provide relief to some, as there is no menstruation and no need to use any method of contraception, in most cases this can cause physical and psychological problems, because the women has to accept that she is no-longer fertile. Menopause is usually followed by other types of important changes. The first signs of ageing appear, children leave home, parents may need more attention due to health problems, and in some occasions there are even alterations in the work situation or professional career. The most frequent symptoms of menopause are hot flushes and excessive sweating. Physiologically, a vasodilation of the peripheral blood vessels will take place, which will cause an increase of blood flow close to the surface of the skin, that in turn will produce a rise of the temperature of the skin, especially in hands, chest, face, abdomen and legs. The excessive sweating coincides with the estrogen fluctuations and is a consequence of the changes in body temperature. It is comparable to a person who suffers a fever and feels cold. Additionally, during menopause there are other transformations that affect the brain’s levels of luteinizing hormone and the norepinephrine. These hormones affect the cardiovascular system and the body temperature, and produce a vasodilatation and the typical sweats from menopause. These physiological alterations produce the symptoms of menopause, the changes of temperature and the sleeping disorders. However, some clinical trials have revealed that the hot flushed usually occur in women after waking up, instead of being the cause for waking up. On the other hand, there are other types of disorders, such as the restless legs syndrome, sleep apnea or mild anxiety, which are more common in menopausal women. There is evidence that proves that the interaction of estrogens and other important brain neurotransmitters is responsible for this type of disorders. As a consequence of the oestrogen fluctuations, it is also common for women with menopause to suffer of irritability and depressive mood states. This is due to the fact that the reduction of the estrogen levels affects the serotonin and dopamine neurotransmitters, which are closely linked to behaviour and mental health alterations. Osteoporosis is a bone disease that causes the deterioration of the bone structure and bone density. As a result, bone fractures become more frequent, increasing morbidity and mortality rates among women. Osteoporosis is common in women over the age of 50 and occurs due to the decrease in estrogen levels. Estrogen protects bone tissue and regulates the activity of cells called osteoclasts, responsible for reabsorbing and removing old or damaged bones. Without the effect of estrogens, these cells increase their activity, leading to a rapid loss of bone density and osteoporosis. The symptoms of menopause can be alleviated in different ways. Many women are prescribed hormone replacement therapy (HRT) by their GP. However, HRT has side effects, such as nausea, breast tenderness and increased cardiovascular risk, so it is best to opt for other types of remedies. If you are looking to alleviate the symptoms of menopause without having to follow HRT treatment, you can opt for natural remedies. These remedies include dietary supplements, which are the best alternative to hormone replacement therapy. These dietary supplements are not like the HRT treatment, but they are an aid to combat the symptoms of menopause at a physical and mental level. Taking dietary supplements, eating healthy foods, or food that contain a high levels of estrogen, as well as adopting a healthy lifestyle by doing relaxation, meditation, or yoga exercises can naturally relieve the symptoms of menopause and promote quality sleep and general well-being in this difficult stage of life. Other home-made remedies consist of taking distilled water or water with honey, as well as taking certain types of oil, such as evening primrose oil, or applying body massages with an essential lavender oil, chamomile oil or ylang-ylang oil. Physical activity also helps during menopause for its positive effects on the cardiovascular system, weight control and mobility. If you exercise regularly you will see how it improves your mood, reduces your stress level and increases your self-esteem. A natural remedy for menopause are lignans. Lignans are polyphenolic compounds found in various plants, seeds, grains, vegetables and legumes. Flax seeds are the richest dietary source of lignans, and are enriched with fiber, protein and various trace elements. Flaxseed are often used as a base for dietary supplements that contain lignans. Lignans are classified as phytoestrogens. How do they help during menopause? Lignans are the precursors of compounds that mimic the function of estrogens in the human body. The intestinal bacteria will transform these compounds into enterolignane, enterodiol and enterolactone, all of which have functions similar to estrogens in the human body. Enterodiol and enterolignan have been studied in depth and have been shown to have strong estrogenic activity because they can bind to estrogen receptors and alter the amount of estrogen in women. However, the bond of these phytoestrogens is weaker than that produced by human estrogens. Therefore, it can be said that these compounds have weak estrogenic activity, which is important because this weak activity can help reduce the risk of hormonal cancers, such as breast, uterus and ovary cancer. In addition, a diet rich in lignans is also associated with a significant reduction in the risk of cardiovascular disease and a reduction in bad LDL cholesterol levels, which is why lignans are recommended as a cardioprotective element. Hop extracts from the plant Humulus lupulus L. (Humulus lupulus) is another natural remedies for menopause. Above all, hop extract is known for being used as a preservative of a bitter taste in the process of beer production. But in addition, hop has also been used for centuries as a medicinal plant. Hops contains many flavonoids, terpenes and iso-alpha acids (bitter substances), and is known for its many health benefits, but, How does hops extract help during menopause? Recently it has been proven that some of the flavonoid compounds have an estrogenic activity. In particular, this is the case with the 8-prenylnaringenin (8-PN) hops extract, classified as a phytoestrogen, that provides relief from the symptoms of menopause due to its estrogenic capacity. In a randomized controlled study it was shown that 8-PN Hop extract is a potent phytoestrogen that relieves symptoms of menopause, mainly stabilizing temperature and hot flashes as well as improving libido. Another study on the effects of 8-PN hop extract has proved that it can help to prevent bone loss by supporting the regeneration of the bone mineral density. Osteoporosis is a major concern for menopausal women and this supplement may reduce the risk of osteoporotic fractures, which are more common during menopause. L-tryptophan is a natural amino acid that can be found in certain foods, such as meat, fish, eggs, dairy products, cereals and seeds. Tryptophan is a precursor of the serotonin neurotransmitter, making it one of the best natural remedies for menopause. A diet enriched with tryptophan can improve mood and sleep quality. L-tryptophan levels are closely related to estrogen, thus they are very important in menopause. Reduced levels of tryptophan affect serotonin production, and it has been established that by increasing levels of L-tryptophan the synthesis and secretion of serotonin will be stimulated. It has also been demonstrated that tryptophan increases melatonin levels in the brain. Melatonin is a neurotransmitter produced by the pineal gland in the brain and is involved in the regulation of sleep-regulating biorhythms. Taking L-tryptophan supplements increases melatonin and serotonin levels, and consequently, improves regularity and quality of sleep, making these supplements one of the best natural remedies for regulating sleep quality during menopause. The 5-hydroxytryptophan (5-HTP) compound is synthesized from the amino acid tryptophan, and is a precursor of serotonin and melatonin, making it one of the best remedies for menopause. Clinical research has shown that 5-hydroxytryptophan, associated with melatonin and serotonin, regulates sleep levels. 5-HTP amino acid, although not directly associated with the biorhythms, has been associated with sleep-wake behavior, since it enhances sleep. During the sleep-wake cycle, body temperature changes, making it easier to sleep. Fluctuations in estrogen levels are related to changes in body temperature. That is a very important fact, as it affects the hot flushes, the wrong regulation of the temperature, the sleep disorders and the health problems that this causes. Most dietary supplements for menopause are considered safe and non-toxic. However, 5-HTP can interact in combination with some medications. This is because 5-HTP increases the levels of the neurotransmitter serotonin, which in some cases is not advisable. Hops extract and lignans are often combined. Calcium and Vitamin D may be combined to protect bones from osteoporosis during menopause.